LG V30 and V30+ are one of the most underrated devices of this year. They offer impeachable build-quality with the top of the line hardware and arguably have one of the best video cameras on any smartphone, period. 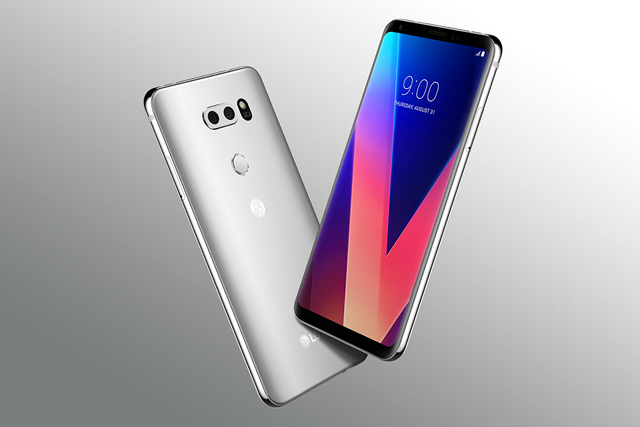 However, owing to LG’s track-record of flagship devices in previous years, the V30 and its V30+ variant haven’t gained too much popularity and commercial success. Regardless, LG V30 is considered one of the best Android phones released in 2017, by reviewers across the board. If you’re on the fence about these two phones, LG has made them more enticing with the latest Android Oreo update. In a post published on its official blog, the South Korean tech giant announced the release of Android Oreo for its V30 and V30+ devices. The company was initially testing out the Android Oreo update with a closed group of 500 users and is now releasing it to the public. The update will initially launch for LG V30 and V30+ owners in South Korea and subsequently reach other markets in the coming few weeks. According to the company, the latest Android Oreo update will bring battery, speed, and overall performance improvements along with staple Android Oreo features including Notification Dots, picture-in-picture mode, autofill-in-apps, smart text selection, redesigned Quick Settings panel, and more. If other Android Oreo updates are anything to go by, this version of Android makes user experience much better than Nougat. I am enjoying this more than I thought on my OnePlus 3, for example. Android Oreo has made a year old device totally new to me and LG V30 is also expected to gain with the latest version of Android. Do let us know if Android Oreo has hit your LG V30 or V30+ and how your experience has been, in the comments section below.